Say hi/propose a topic/ask a question/tell us how amazing we are/tell us how amazing you are. Submit your creative writing. 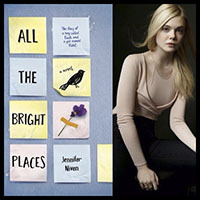 See our Literary Submission Guidelines for all the details. Pitch us a piece for one of our regular categories, including the Daily Germ, which can be an inspiring/funny/memorable quote or word of the day. 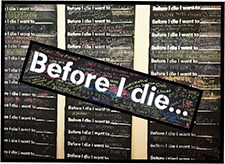 Add some of your Bucket List items to our Before I Die page. Please send no more than 5 items. Suggest a How To…, a Be Lovely, or Truth About… you’d like to see, or links you think we need to know about. Have something to Ask Lara? Send questions to be considered for publication to lara@germmagazine.com. Submit your own works (music albums, books) to be considered for review. Write a Dear Me letter to your high school or future self. Show us where you’re Wandering. For those who Wander, you can record your journey via video, pictures, drawings, words. Show us a place, big or small, in your hometown or from your travels. If you are sending in a video Wander, please use Google Drive and share your file(s) with germ@germmagazine.com. Although you can find us on Twitter, Facebook, Pinterest, Tumblr, Instagram, and the rest of the social stratosphere, please don’t pitch us ideas there. 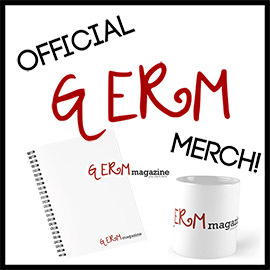 Again, the only place for that is: germ@germmagazine.com. If you are pitching ideas, please know that we’ll respond as soon as we’re able. When we’re not writing here, we’re usually writing somewhere, so sometimes it can take a while. But never fear. Unless it bounces back to you, we’ve gotten your email and will be in touch. A short (less than 100 words) description of your idea in the body of the email. The name of the category/subcategory/column you think your piece belongs in. No attachments. Cut and paste your written work (between 500-800 words) into the body of the email, following that short description. Love, Life, and Daily Germs can be anywhere from 10 words to 250. Every article submission other than those listed above should be between 500-800 words. We publish regular issues in electronic format. While we value your work very highly, we are unable to offer payment except publication at this time.